Ramlila, literally Rama’s play, has been a part of almost everyone’s life in India. Perhaps every Indian has listened to the amazing stories of the Ramayana from his/her elders. We have lived this epic story in TV serials, different enactments, stage performances and what not. If we go by the unembellished terms, Ramlila is actually the enactment of the epic Ramayana in a series of scenes, which include songs, narration, recital and dialogues. Since time immemorial, Ramlila is performed across the country annually. In the age of digitalization, when everything is going digital, Havells – the brand with lighting as its forte, conceptualized the thought of presenting this inspiring story in an interesting manner through an animated series using shadow puppets and LED lights. Starting from the first day of Navratri i.e. 10th Oct’ 2018, the series will be shown in ten parts throughout the ten days of festivities and ending on the occasion of Dussehra i.e. 19th Oct’ 2018. Lighting is important for all of us. Not only lighting gives us the sense of clarity, but also a kind of security which is hidden under the spell of darkness. Through this show, the brand has grabbed the perfect opportunity to amalgamate the story of victory of good over evil, and light over darkness. As we all know, Dussehra is one of the major festivals in India that celebrates the triumph of Lord Rama over Demon Ravana, and the victory of virtue over vice. This is the just right occasion to display the importance of better lighting for a better life. After all, our thought of Light Sahi To Life Sahi is true to its core. We all have seen stage enactments and TV serials based on the epic story. 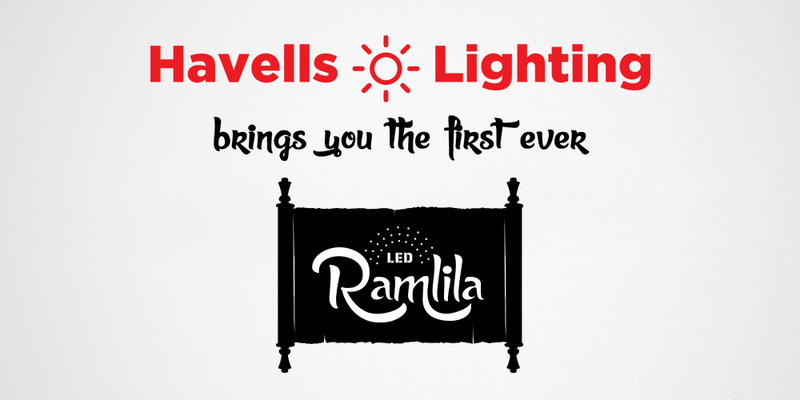 But now it’s the time to enjoy the absolutely unique LED Ramlila – a story powered by Havells Lighting & Wires. While bringing the mythological story into light, Havells has tried to execute the entire scripture into a visual screenplay using LED lights, amps and wires. Though this saga, the brand is keen to engage the audience to re-live the age-old religious story which has so many instances to learn influential lessons from.